Baseball alumnus Justin Albright took in the Colonials' game against CSUN after throwing out the ceremonial first pitch. A few years ago, Justin Albright was slated for the start in what was arguably the most important game of the year to date. It was Sunday, May 18, 2013. The senior normally only started during the middle of the week, against local competition. The weekend conference games were usually reserved for the top-shelf starters. What was on the line? A win would complete an incredible turnaround for a team that hadn’t made the Atlantic 10 Tournament since 2006. The Colonials had been predicted to finish last in the Atlantic 10 at the start of the season, but had a chance to win their eighth game in the last nine conference games, locking up the fifth overall seed in the tournament in head coach Gregg Ritchie’s first year. The 5-foot-10-inch, Thurmont, Md. native pitched to a freshman catcher, Matthieu Robért. And Albright’s final line on the day? Seven innings, four hits, one run and three strikeouts in a 4‒1 win. 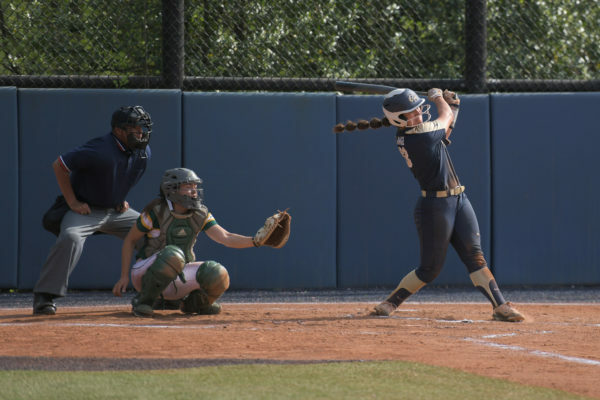 Albright – also the team’s top hitter all season long – picked up one hit. Robért had two hits, and two RBI and fellow senior teammates Ryan Hickey and Tyler McCarthy each scored a run. Three years later, on March 5, 2016, before a doubleheader against Cal State University, Northridge, Albright threw out the (ceremonial) first pitch. Once again he delivered it to Robért, now a senior. After the pitch, old teammates Hickey and McCarthy, now the team’s Director of Operations and assistant coach, respectively, greeted Albright. “Hickey texted me if I wanted to come and wanted to throw out the first pitch. I was like, ‘Heck yeah. That’d be petty cool,’” Albright said. Albright’s senior year was Ritchie’s first as head coach. Ritchie had spoken at the team’s golf outing, and, when he learned of the coaching change, Albright was excited at the possibility of a fresh start for the struggling team. And then when Ritchie arrived in the fall, Albright noticed a change. That year was different, bringing a berth in the conference tournament. After the team’s turnaround, Ritchie won A-10 Coach of the Year. The next year was a rebuilding season with a team full of freshmen, followed by a maturation process leading to this year and a legitimate chance to be a contender in the A-10. 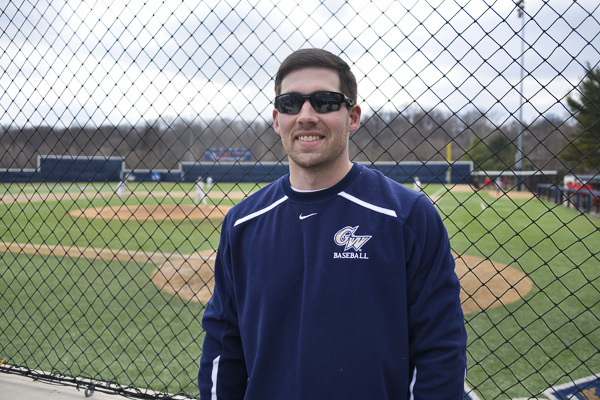 This year, sitting in the stands in his old GW baseball fleece and a pair of Oakley sunglasses, accompanied by his goldendoodle Houston, Albright watched his Colonials try to build some early season momentum. He would watch them lose to CSUN (and eventually get swept in three late-inning losses), but he watched his old team play against high-level talent, on its home field. The Colonials have struggled out of the gate, starting the season 8‒13, but even getting the chance to play CSUN in Arlington, Va. was noteworthy to Albright. “It’s one thing when you go there, but to have them come here. It’s 40 degrees, and it’s probably like 70 there,” Albright joked. The expectations on the team are different this year, too. When Albright’s senior year came around, GW had not been a quality program for nearly a decade. The team just wanted to make the tournament and go from there. Since then, the goal to win a conference championship and go to the College World Series has become more in focus. “I remember the year after I graduated, we [he and Ritchie] talked for like 30 minutes just about how excited he was for his incoming players, his new guys he was getting,” Albright said. Those new players were guys like juniors Joey Bartosic, Kevin Mahala, Bobby Campbell, Andrew Selby. He already knew guys like seniors Bobby LeWarne and Jacob Williams. Then last year’s big addition, Robbie Metz was a player that Albright could look into a mirror to get to know. Metz is a Maryland native, a two-way player, a soft-spoken guy but a leader in his actions. The Poolesville, Md. player proved his worth both as a pitcher and a batter last year, as a member of the A-10 All-Rookie Team, going 3‒3 with a 3.23 ERA and batting .306. Albright got his first look at Metz during the home-hosted Atlantic 10 Conference championship last year. Albright similarly dominated from both sides in his playing years. In his senior year, he batted a team-high .300, picked up 63 hits, scored 29 runs, drove in 19 runs and stole a team-high 29 bases. His junior year, Albright batted .245, seventh-best on the team, and drove in six runs. He said that his effort improved as a senior, motivated by the team’s culture shift under new leadership. Albright may not be the only former Colonial back on the mound this year. Hickey hopes to celebrate some of the most impressive alumni during weekend series this year to throw out the ceremonial first pitches. “I chose Justin really because he was the spark plug for that team, in turning the season around and turning the program around,” Hickey said. For Robért, it was an honor to catch Albright before the game. He remembers following Albright’s way when he first joined the team. 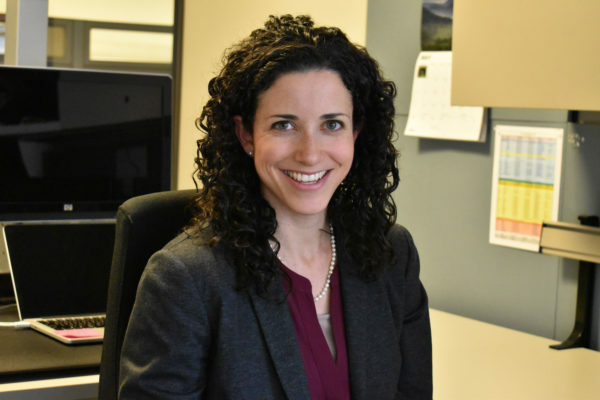 “Albright was one of the senior leaders when I came in as a freshman that guided my path at GW. He taught me how to lead guys,” he said.